Robyn has a lot to answer for. Perhaps the most highly regarded of all Sweden’s popstars of recent times, every other female arrives in her wake. That’s especially true of Vanbot, a.k.a Ester Ideskog, who has faced this uphill battle of a comparison since the release of her self-titled debut album in 2011. It’s an obvious comparison to make, though. The electronic, dance-tinged production; the tension between melancholia and euphoria; the inescapable pop hooks. If there’s one place Robyn does excel, it’s with her candid lyrical content, but Vanbot does plenty to carve her own voice. Arguably, Robyn herself was influenced by the dance production of The Knife, whose influence has thus trickled down into Vanbot’s sound. Indeed, this album was produced by Johannes Berglund who produced work from The Knife and I Break Horses, lending it a darker, more experimental tone in comparison to her fizzing debut. You can hear it in the bleak ambience of Shake, or the bubbling Bite the Bullet (not a million miles away from The Knife’s Heartbeats), whilst Vanbot’s vocal has a similarly distant feel. On the surface, then, ‘Perfect Storm’ has a lot in common with the best of Swedish pop, but Vanbot is far from a copycat artist. Sure, this isn’t the most original album of the year, but as the title suggests, it takes the best bits of her major influences and perfects them into an incredibly polished collection of tracks. In many ways, ‘Perfect Storm’ is the ultimate Scandi-pop album. The melody writing is as good as her contemporaries and the production of the album has enough quirks to stand out from the crowd. It’s when these two elements combine that Vanbot reaches her peak. Second track Trooper is the real opening of the album that pairs a yearning chorus line with whirring electro-ballad production, epitomising the album’s tender yet gritty sound. The Way You Say It and Seven both crescendo towards incessant, earworm choruses. Watching You Sleep sounds like Sonic the Hedgehog playing the bagpipes (absolutely a compliment). And Better in the Light sees Vanbot turning her hand to a heavier dance sound with a huge bass drop. The other tracks may not have the same immediacy, but overall the album is a dark and tense affair that twists its melting pot of influences into an essential listen. There’s an intimacy to the lyrics that’s juxtaposed with widescreen appeal; a soul laid bare to the sound of expansive synths, dance rhythms and uplifting melodies. More and more Swedish acts are beginning to break into the UK charts, with Tove Lo currently leading the charge with her uniquely naked lyrical content. Vanbot should absolutely follow suit. 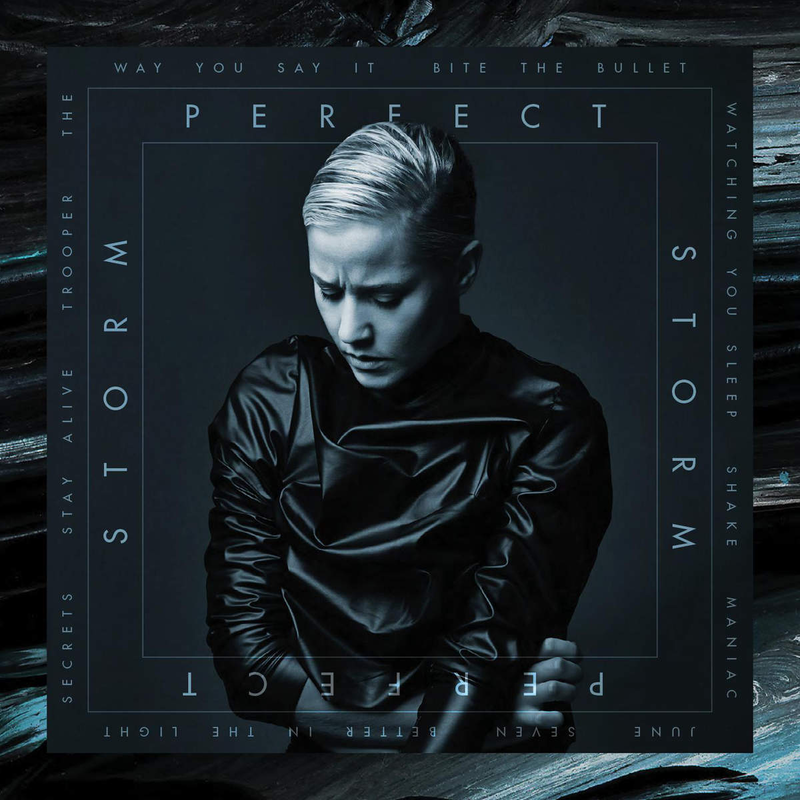 Listen: ‘Perfect Storm’ is available now.